Before moving into a description of the heart and mind expanding Transformation Course, enjoy this beautiful fable of transformation. Then click the link at the bottom to continue your journey. Once upon a time in a far away corner of the universe in the outer reaches of a medium-sized spiral galaxy, there was a beautiful blue-green planet whose inquisitive inhabitants named their world Earth. Many different peoples inhabited this planet teeming with abundant lifeforms. They had come to learn the many difficult, yet rewarding lessons of exploring in physical bodies what it is like to feel separate and disconnected from their own divine essence and from all around them. 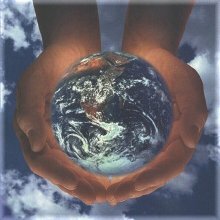 The collective consciousness of all people on Earth greatly affected everything that happened on this revolving planet. Yet because of their explorations into separateness, the vast majority of these people – or humans as they called themselves – were unaware of how their collective will formed their world. In order to learn the deep wisdom of this Earth school or Univers-city, these humans had chosen to forget how in their deepest essence they were all interconnected and how every individual played an essential role in what happened on their planet and to their people as a whole. Over the ages and through thousands upon thousands of revolutions of this jewel of a planet around its shining golden sun, the people of Earth developed and expanded their awareness through many intense, beautiful, and sometimes even painful experiences of exploring both their separateness and their togetherness. Through the rich drama and challenging lessons of many ages, they several times grew close to the point of feeling again their deep interconnectedness with all beings. Yet each time they came close, that awareness then contracted and was eventually shut down by their collective fear of losing individuality and uniqueness. After several cycles of this expansion and contraction, at one point in a new expansion phase, the collective mind grew so intelligent as to permit humankind for the first time to soar beyond the gravitational confines of Earth in shiny, metallic spaceships. The collective knowledge of the physical world in which they lived grew so deep that certain individuals began to see visions of a major transformation leading to physical paradise on Earth. At the same time, many others greatly feared that these new mental abilities and sophisticated technologies would be used by the militaries and greedy elite to destroy the very life and world in which they lived. As their collective hopes and fears grew like never before, many humans dedicated to global transformation joined together in a deep prayer about their world. So for the first time in the planet's history, a powerful collective call was sent out to the universe requesting help and guidance for the struggling planet and its people to move beyond selfishness and greed towards loving transformation and integration. For the first time, humanity as a whole opened to connection and help from the great universe beyond the physical confines of their world. In the vast and varied collection of civilizations and species spread throughout the infinite universe, the call for help from this small, beautiful planet was heard. Unbeknownst to the people of Earth, there existed in the universe a special team made up of millions of caring souls from various planets, galaxies, and even other dimensions. This loving team had dedicated themselves specifically to serve and support all inhabitants of those developing planets who requested help in times of crisis and transition. The vibrant souls of this intergalactic transformation team were committed to work together with the local transformation team of any planet that called for help in creating more nurturing, life-enhancing ways of living and growing. This loving team was activated by the collective call from Earth. Feeling the call for help almost like a fireman on Earth responding to an alarm, the excited souls of the transformation team came together to focus their attention on this beautiful world in crisis. They opened their hearts and souls to the people there. They learned of the ways of humankind and became familiar with the challenges the people of Earth found themselves facing. While some members agreed to observe and provide guidance from a distance, millions of these souls agreed to be born in human bodies and – like other humans – to forget where they came from, so that they might fully experience being human and more effectively provide help and guidance to humankind. Being born into human bodies and human families without memory of their origin, these transformation team members felt the many pains and joys of growing up while often feeling separate and isolated from those around them. Some members even chose to go through serious traumas with their human families in order to develop deeper compassion. Others simply felt alone and bewildered, unable to comprehend why those around them couldn't see that love interconnects us all. At times, all of them felt lost and forgotten. They felt they somehow didn't belong and sensed an inner calling to some greater purpose. As these dedicated transformation team members grew spiritually and the crisis facing the planet intensified, magical things began to happen. Key writings, dreams, mystical experiences, and even inspiring fables began to awaken members of the transformation team to their deeper purpose. For some the awakening was gradual, while for others a powerful, unexpected single event lifted the veil. Collectively, members of the transformation team began to remember why they came to Earth. They found themselves spontaneously connecting with other wise humans who were part of the transformation team and who further helped to awaken and inspire them. Their fears and feeling of separation gradually faded as they became increasingly excited to remember their deeper purpose, and to find themselves now playing an integral role in this empowering planetary transition. Eventually, all members of the transformation team awoke. Upon awakening, a new, bright sparkle danced from their eyes. It was a sparkle of knowingness. Knowing that all of us are already interconnected in a divine cosmic dance. Knowing that the joy of love is always there inside when any soul truly opens to it. Knowing that the team's purpose is not to save anyone, but rather to simply be an inspiration and a loving invitation to transformation for all around them. Knowing that uniqueness and individuality are welcome even in the interconnectedness of all beings. Knowing that when the people of a planet send out a collective call for help, the transformation team always answers. Knowing that the team never fails to give powerful, inspiring guidance to help make it through even the most daunting crisis. Once upon a time, the transformation team came to Earth to remind humankind – and even to remind themselves – that we are not alone, that we are all equally important actors intimately interconnected in the divine unfolding of the universe. The team came to remind us that fear is but an invitation to growth, and that in the end, there is no end. There is only this sacred moment in which to open to all the richness that we are ready to receive. There is only the eternal here and now. And so to bring this transformation fable to a close (or is it an opening? 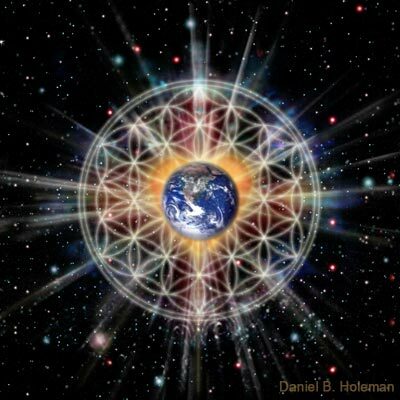 ), the transformation team found and continues to find ever more joyful, meaningful ways to love, explore, play, and grow together with all people of Earth, as they live happily ever after in the ever present here and now. planetary transformation team, enter here.